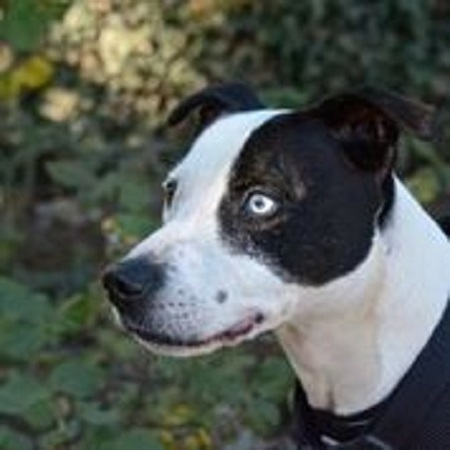 Nine year old Staffordshire Bull Terrier Bowie is a friendly boy who is looking for a forever home and is being cared for by Leicester Animal Aid until his wish comes true. 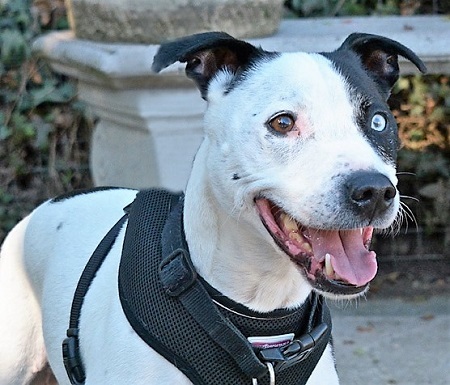 Bowie is just like the legend David Bowie himself as he has heterochromia iridium (different coloured eyes) and, of course, is just as talented, never acting his age and loving the attention. Bowie enjoys being active and it’s an important part of his life to have his walks and playtime. He’s an entertaining boy and will keep everyone amused with his antics. 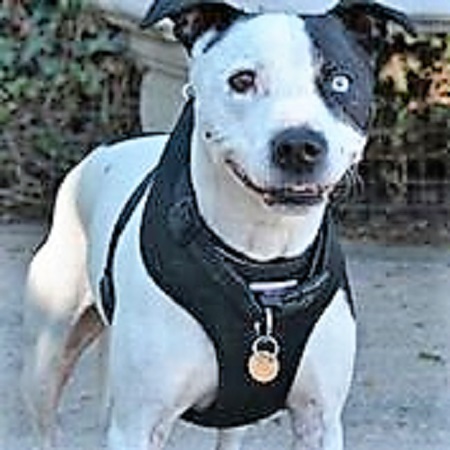 Bowie is very sociable with people and also likes to enjoy some private time in life where he can relax and just take a moment to appreciate the finer things, so an environment with older teens would be ideal. He could possibly live with another canine friend subject to introduction. Bowie loves to travel and enjoys himself guessing “Where are we now?” or “Are we there yet?”. He craves to be included on holidays, though you have to ensure lunch is hidden away as that will be gone before leaving the drive! Please mention you saw Bowie on the Oldies Club website.